While Japan may have mastered the pod or capsule hotel concept—a tight space that serves as little more than a place to sleep for travelers on the go—the concept is picking up steam around the world. Mexico City International Airport is the latest to tap into travelers’ desire for a convenient, affordable place to rest their head with the opening of izZzleep in Terminal 1. The facility, which bills itself as intelligent hospitality, has 40 capsules as well as a private locker area and bathrooms. Each capsule sleeps one person only and comes with little more than a bed, a high-definition TV, a safe, Wi-Fi and USB charging ports. The pods can be rented for about $8 an hour (140 pesos) with a two-hour minimum. Guests can also rent the pod for a full night starting from about $30 per night (640 pesos.) Access to a private shower is available but costs an additional 130 pesos. The hotel was founded by a group of Mexican entrepreneurs who invested 5 million pesos and spent two years researching the concept. While the space officially opened to the public earlier this week, founding partner Jose Martin Alonso said it has been in a test phase for the past two months. Group partner Luis Antonio Gomez added that IzZzleep expects to serve some 12,000 people in its first year of operation. 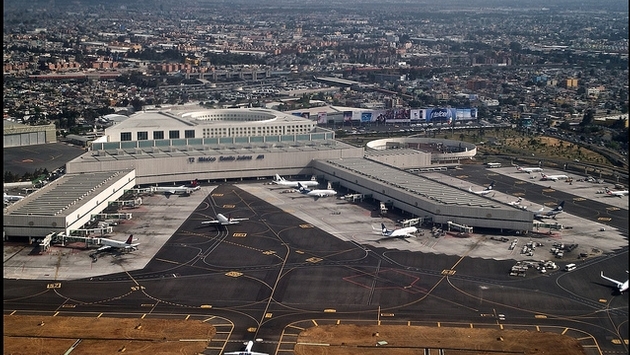 The partnership group has also announced they are planning to invest an additional 25 million pesos to expand the concept to Terminal 2 and to open locations at other Mexican airports, including those in Guadalajara, Monterrey, Tijuana and Cancun. izZzleep is bookable through a number of online platforms, including Booking.com and reservations are recommended.